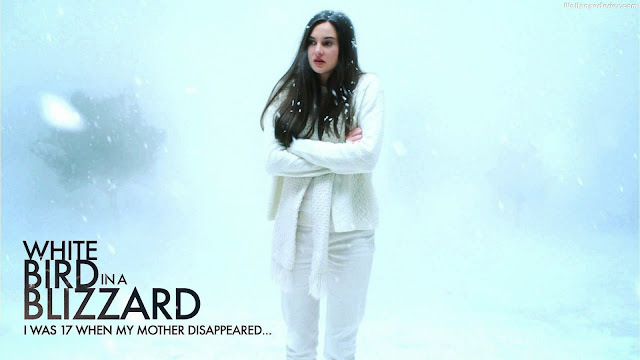 Movie Ramble: White Bird in a Blizzard. The synopsis is as good as it gets, going down hill from here on in. This extremely unconvincing TV type drama set in the late 1980’s relies totally on a wee twist at its conclusion to hide its rather obvious narrative. Based on a novel of the same name written by Laura Kasischke, White Bird in a Blizzard (2014) has been directed and written by Gregg Araki, who also directed and wrote the screenplay for the much better Mysterious Sin (2004) a film I would certainly recommend. This latest painfully unhurried drama is a complete let down with Eva Green miscast and Shailene Woodley’s obvious talents completely wasted. Although it was premiered at the 2014 Sundance Film Festival it was only and not unsurprisingly given a limited release.